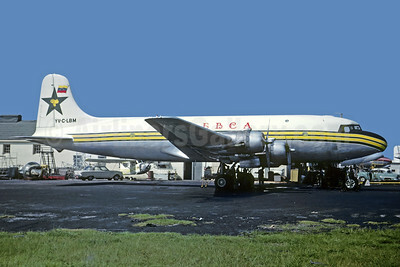 Douglas DC-4 and C-54 Pictures. Photos. Framable Color Prints and Posters. Digital Sharp Images. Aviation Gifts. Slide Shows. 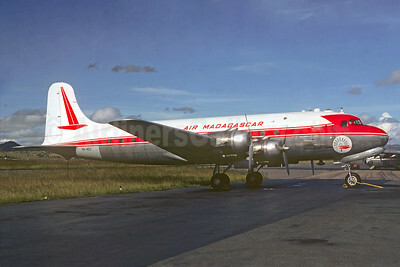 Air Madagascar Douglas DC-4-1009 5R-MCO (msn 42916) TNR (Christian Volpati Collection). Image: 934074. 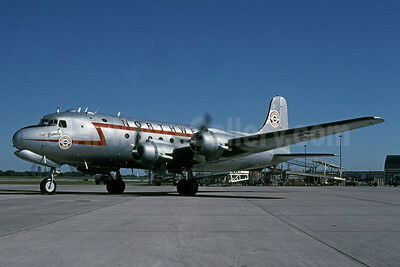 Air North (Canada) Douglas C-54A-DC (DC-4) C-FGNI (msn 10389) YXY (Perry Hoppe). Image: 911169. 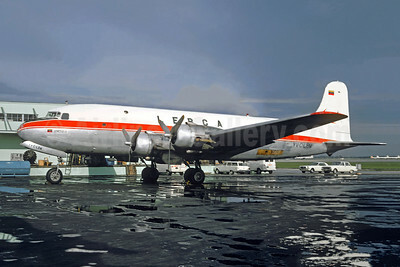 AVIANCA Colombia Douglas C-54B-DO (DC-4) HK-654 (msn 18391) MIA (Bruce Drum). Image: 104108. 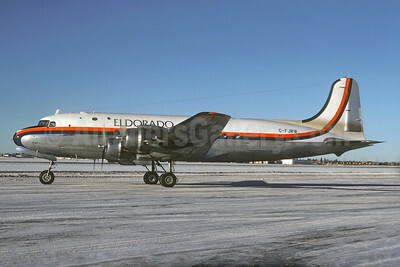 Eldorado Aviation Douglas DC-4-1009 C-FJRW (msn 42983) YWG (Christian Volpati Collection). Image: 928435. 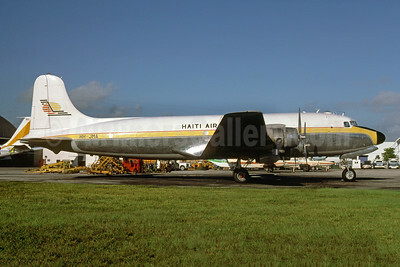 Haiti Air Freight Douglas C-54G-DO (DC-4) HH-JMA (msn 35955) MIA (Bruce Drum). Image: 103982. 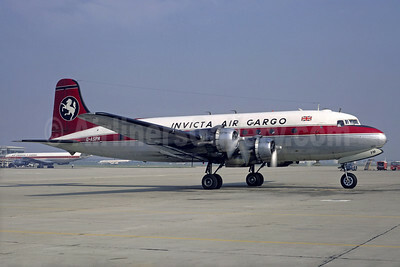 Invicta Air Cargo Douglas C-54B-1-DC (DC-4) G-ASPM (msn 10543) LHR (Jacques Guillem Collection). Image: 934093. 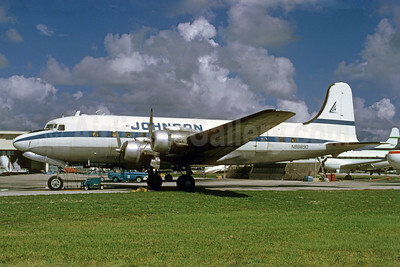 Johnson Flying Service Douglas C-54B-1-DC (DC-4) N88890 (msn 10481) MIA (Bruce Drum). Image: 103053. 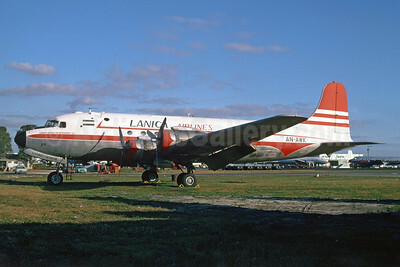 LANICA Airlines (Lineas Aereas de Nicaragua) Douglas C-54B-1-DC (DC-4) AN-AWK (msn 10541) MIA (Bruce Drum). Image: 103822. LEBCA (Lineas Expresa Bolivar C.A.) 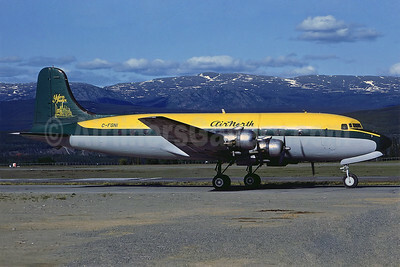 Douglas C-54B-20-DO (DC-4) YV-C-LBM (msn 27243) MIA (Jacques Guillem Collection). Image: 939342. LEBCA (Lineas Expresa Bolivar C.A.) 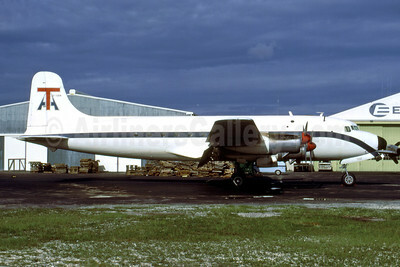 Douglas C-54B-20-DO (DC-4) YV-C-LBM (msn 27243) MIA (Jacques Guillem Collection). Image: 945225. 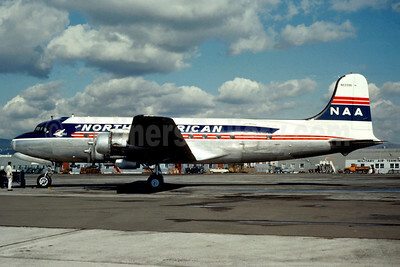 North American Airlines-NAA (1st) (Twentieth Century Airlines) Douglas C-54B-1-DC (DC-4) N63396 (msn 10486)(Jacques Guillem Collection). Image: 920907. 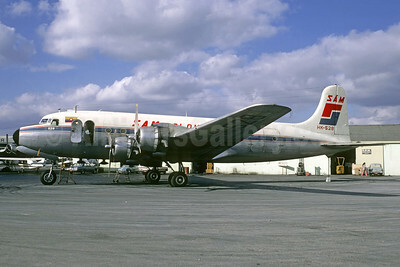 Northwest Airlines-NWA Douglas DC-4 "The Manila" MSP (Greg Drawbaugh). Image: 908236. 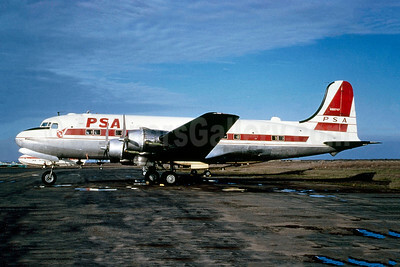 PSA (Pacific Southwest Airlines) Douglas C-54-DO (DC-4) N88747 (msn 3116) OAK (Bruce Drum Collection). Image: 941429. 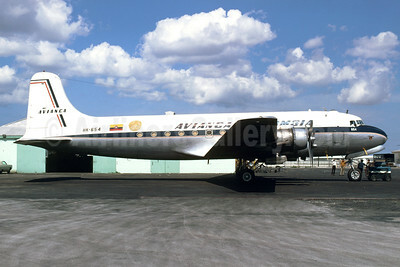 SAM Colombia Douglas C-54B-1-DC (DC-4) HK-528 (msn 10449) MIA (Jacques Guillem Collection). Image: 911428. 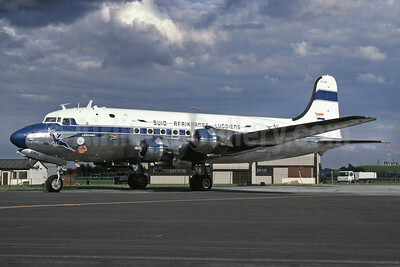 Suid-Afrikaanse Lugdiens (South African Airways) (Historic Flight) Douglas DC-4-1009 ZS-BMH (msn 43157) FFD (Richard Vandervord). Image: 913577. 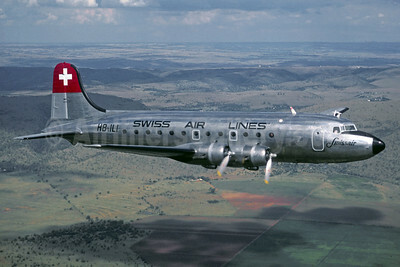 Swiss Air Lines-Swissair Douglas DC-4-1009 HB-ILI (msn 43097) (Jackques Guillem Collection). Image: 913148. 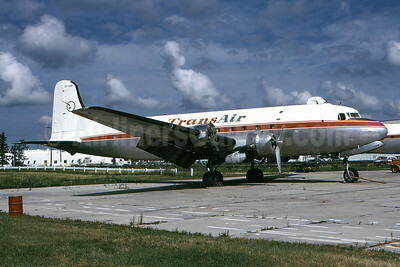 TransAir (Canada) Douglas DC-4-1009 CF-TAW (msn 42914) YWG (Bruce Drum). Image: 100625. 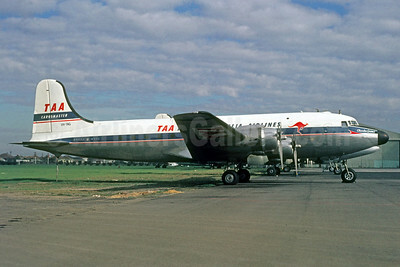 Turks Air Canadair C-54GM North Star Mk. 1 (CL-2) (Argonaut) CF-UXA (msn 109) MIA (Bruce Drum). Image: 102838.